Organising a date with my darling Mother and Sister, I eagerly suggested we indulge ourselves at a local chocolateria. "I don't want to go there", Sister stated matter-of-factly. "Why?" I demanded, surprised and mildly outraged. Surely she knew better than to stand between my favourite food and me. "I want to take you to San Churro at Penrith. You'll love it!". "Oh? I've never heard of it". Neither had Mum. It was Sister's turn to look surprised and mildly outraged. "That settles it then", she said resolutely, "We're going". A short time later we arrived at Shop 118a in Penrith's Westfield Plaza on Riley Street. I was stunned. The atmosphere and décor were playful yet sophisticated. Certainly much more inviting and aesthetically pleasing than the scruffy and unkempt lounges at the place I had suggested. Still, it's the chocolate that matters, and while San Churro may look inviting, it had yet to prove its real worth, I thought stubbornly. A friendly attendant showed us a table by the window and gave us our menus. As long as we had churros, Spain's traditional take on the humble Western doughnut, Sister dearest was pretty relaxed about what else we chose to order. Everything on the menu looked delicious, so it wasn't an easy decision to make. After thoroughly examining the menu, I chose the Strawberry Bizcocho – a mouth-watering combination of chocolate sponge, fresh strawberries and chilled vanilla custard topped with melted milk chocolate. 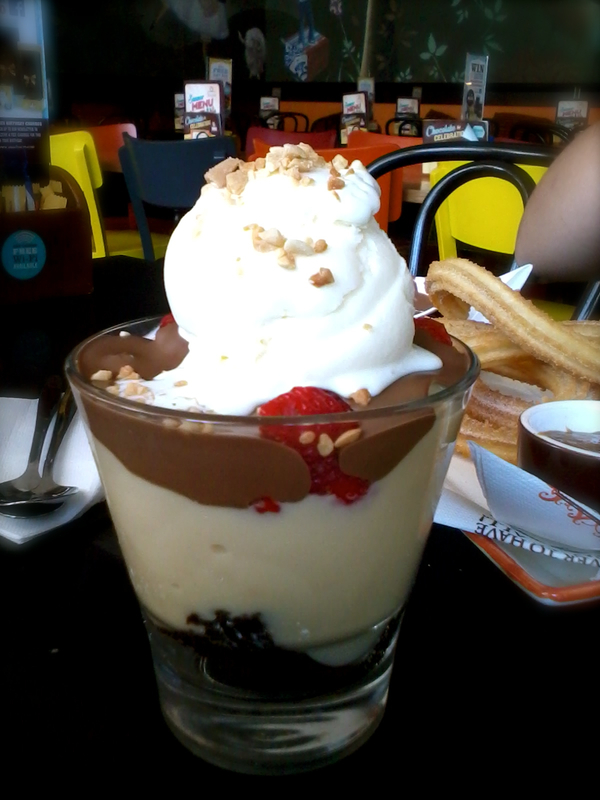 In the mood for some caramel, Mum ordered the Banana Caramel Cup. 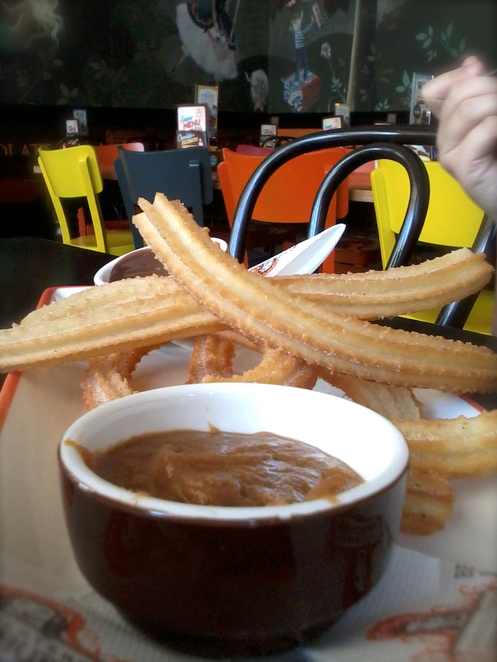 With its layers of fresh banana, classic caramel, melted milk chocolate and fresh churros pieces, I began to second-guess my order. "Relax" said Sister, "You won't be disappointed". 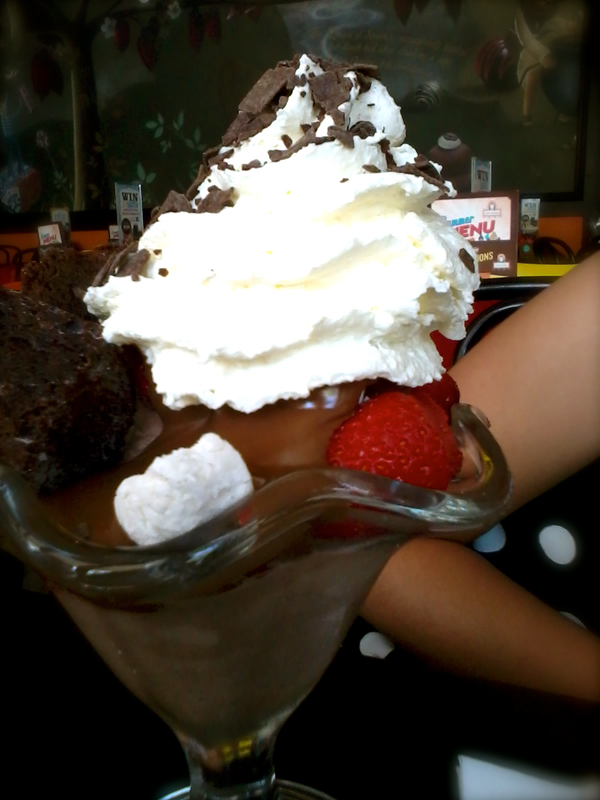 She then proceeded to order a Choc Strawberry Sundae - a combination of ice cream, fresh strawberries, melted chocolate and decadent chocolate brownie pieces. To top it all off, she requested that marshmallows be added to her dessert, which was not at all a problem. A short while later, our orders arrived. Needless to say, the food was delectable. 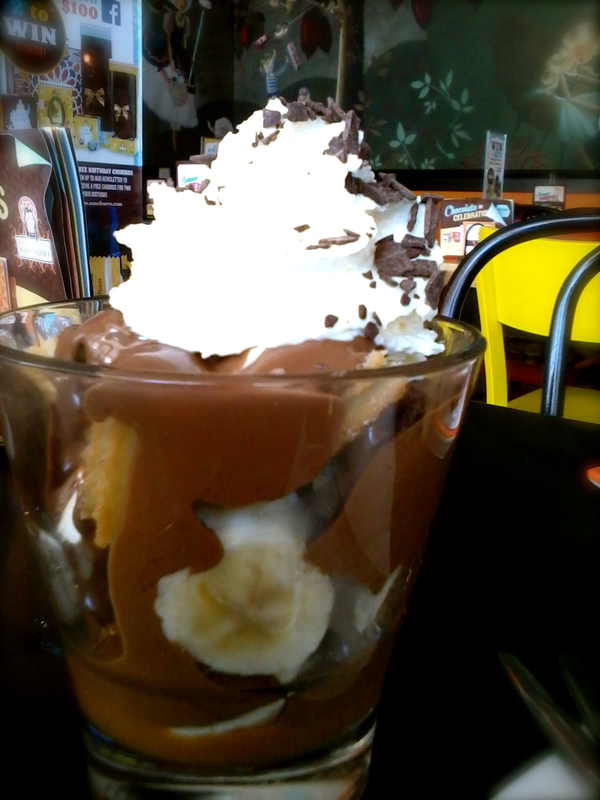 The fruit added freshness to the otherwise rich and mouth-watering chocolate desserts, and the service was also notable. San Churro at Penrith offers a wide variety of menu options and retail items to satisfy your cravings, and its long trading hours together with its intimate yet cosmopolitan feel make it the perfect place to catch up with friends and family. To find out more about San Churro at Penrith, visit their website or telephone call 02 4722 5525. Don't tell her so, but Sister was right! I wasn't disappointed and I did love it, and so will you!